Are you stuck on what to make for favors for an upcoming baby shower? I always like food favors because people love receiving delicious treats. It’s also a great option for a co-ed baby shower. Rather than make typical cookies or cupcakes for people to take home, try making some delicious recipes with baby food! Baby food favors could include muffins, mini loaves and more! 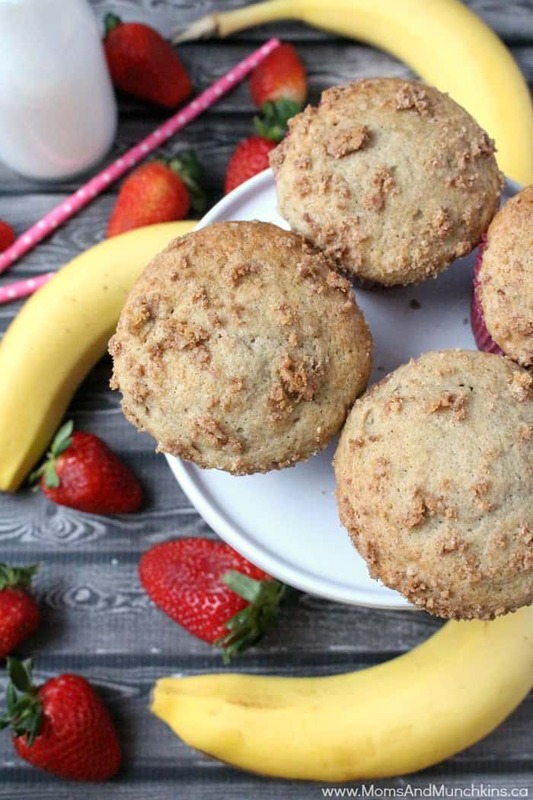 One of my favorite treats to make with baby food are these Strawberry Banana Crumb Muffins. These muffins are quick and easy to make. 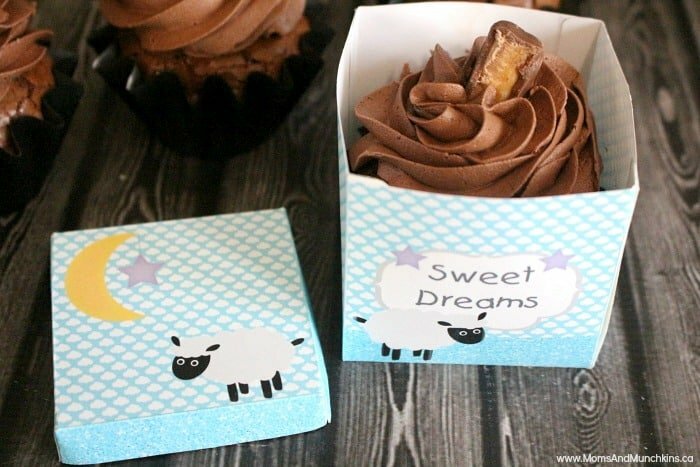 For favors, they can be placed in a single cupcake box along with a personalized sticker and ribbon. The baby food adds extra moisture to the muffins for a delicious treat. Lightly spray 12 muffin tins or line each with a paper liner. In a medium sized bowl, beat sugar & butter for one minute until well blended. Add baby food and vanilla. Beat until well blended. Add eggs. Beat until well blended. In a separate bowl, mix flour, baking soda and salt. Pour the dry ingredients into the wet ingredients. Stir well to mix. In a separate bowl, mix all topping ingredients together until crumbly. Bake for 20 minutes or until toothpick inserted in center of muffin comes out clean. 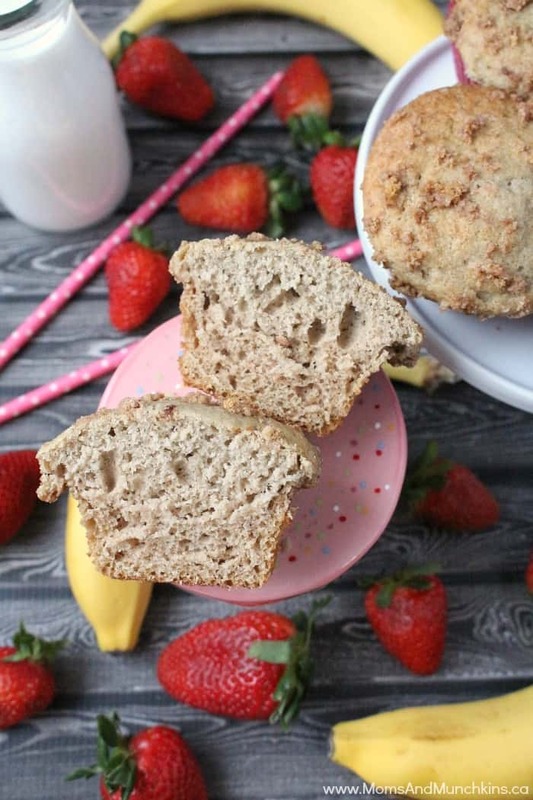 We also have a FREE printable baby shower favor box that would fit these muffins perfectly. We’re always adding new ideas for celebrations. Follow along on Facebook, Twitter, Pinterest and Instagram. I haven’t tried them as mini muffins but I’m sure they’d be delicious. You’d just have to reduce the baking time so that they don’t burn.